American art superstar Julian Schnabel has spent his life pushing the limits of painting and crossing artistic boundaries as an award-winning filmmaker. Now, for the first time, a major retrospective examines the connections between painting and film in Schnabel’s work, tracing how his paintings exist in dialogue with the cinema and revealing the rich interplay between the two media. Julian Schnabel: Art and Film surveys Schnabel’s work as a painter from the mid-1970s to the present and features more than 25 key works. The exhibition will occupy the entire fifth floor of the Art Gallery of Ontario’s Vivian & David Campbell Centre for Contemporary Art. 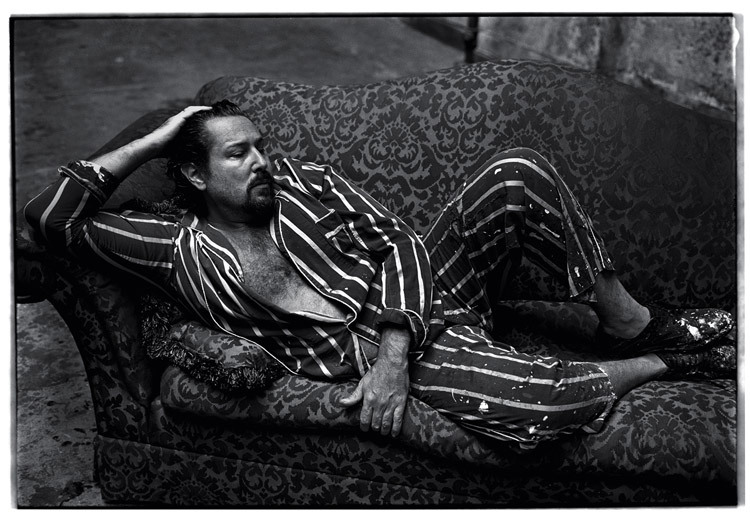 Julian Schnabel was born and raised in Brooklyn, New York. His first solo show was at the Contemporary Arts Museum in Houston in 1976, but it was with his 1979 exhibition at the Mary Boone Gallery in New York that Schnabel first asserted his presence as the figurehead of new painting declaring its unbridled possibilities. Retrospectives of his work have been mounted by Tate Gallery, London (1983), the Whitney Museum of American Art (1987), Museo Nacionale Centro de Arte Reina Sophia, Madrid (2004), and Centre Pompidou among many others. He made his cinematic debut in 1996 with his account of the life of Jean-Michel Basquiat, which starred Jeffrey Wright, David Bowie, Gary Oldman and Dennis Hopper. The Diving Bell and the Butterfly earned him Best Director both at the Cannes Film Festival and the Golden Globes, and four Academy Award nominations including best director. For more information, check out the Art Gallery of Ontario's website.